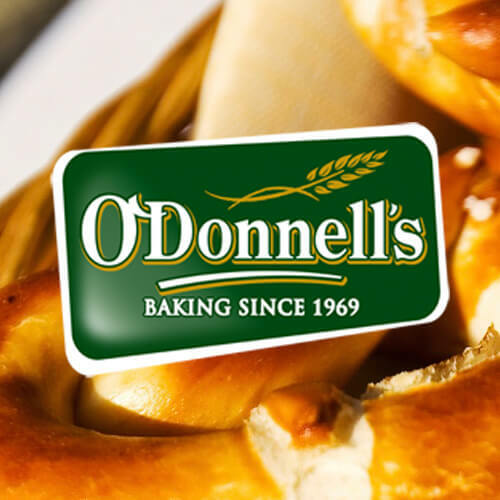 Located outside Laghey, Co. Donegal, O’Donnell’s Bakery has been in the baking business since 1969 and operates in the retail and catering markets. They are a traditional craft bakery with a modern twist, using only the best signature ingredients. Andrew McElhinney took over the Bakery in 2010, when it had only 5 staff and has grown the business and expanded its operations in Ireland and Northern Ireland and now has 22 employees. The reputation for excellence of the company’s expanding product range – now over 34 including wheaten breads, cakes, tea-scones and a selection of confectionary goods – has been growing rapidly. Involvement in a Food Academy programme has also opened new markets for O’Donnell’s in Ireland. This has allowed the company to develop and market test a new suite of products and give them a solid foundation to progress confidently onto retail shelves throughout the island. O’Donnell’s bake and supply a range of breads, wheaten bread, scones, cakes and biscuits. Breads and cakes from O’Donnell’s Bakery are available at a range of shops throughout Donegal and in Supervalu stores in Sligo, Roscommon, Mayo, Galway, Cavan & Monaghan. O’Donnell’s also export their products to the east coast of America.